What better way to say ‘I do’ away from the hustle-bustle of the city and amidst nature. 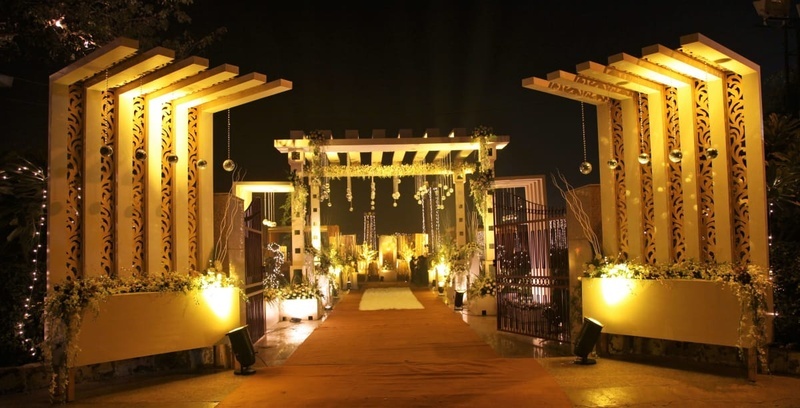 Concore Greno, Greater Noida, Delhi is a lavish wedding venue in Noida with lush green lawns for destination weddings and other pre-wedding ceremonies. Whether you are planning for a budget-friendly destination wedding or a romantic getaway wedding, this modern wedding resort has extravagant amenities and dedicated staff that cater to your needs and exceed all expectations. The exquisite décor, immersed in the lush green landscape makes the perfect setting for lavish affairs. Vegetarian and Non Vegetarian food is served at this venue. Packages starts at Rs 1,500 per plate for vegetarian menu and at Rs 1,700 for non-veg menu. Checkout more options for banquet halls in Greater Noida as per your budget at Weddingz and get amazing discounts.